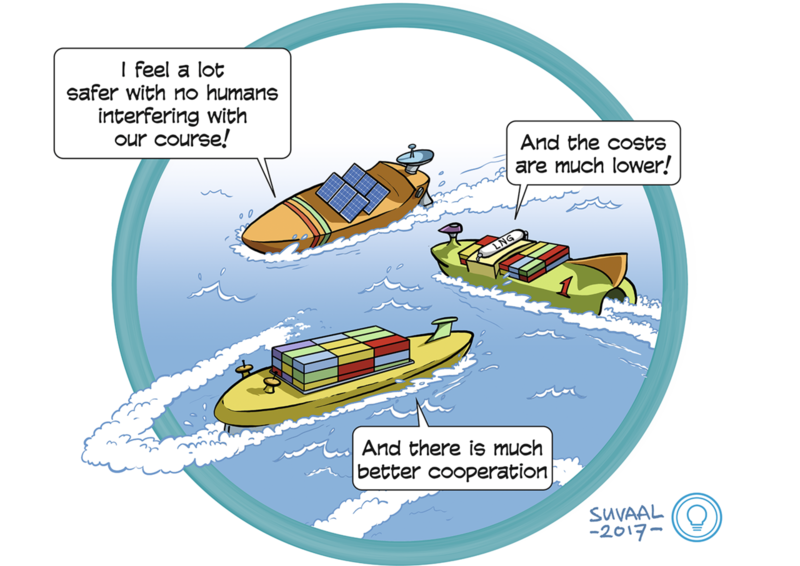 Autonomous shipping has the potential to significantly lower the cost of shipping, solve anticipated crew shortages, increase safety, improve working conditions and better integrate shipping in the transport system. We investigate how to design efficient, reliable and safe autonomous ships. This includes onboard ship control-and-operation intelligence as well as smart coordination among ships, terminals, infrastructure and logistic systems. The first well-developed concepts for autonomous/unmanned cargo ships are expected by 2020. The theoretical basis has been developed and is now being translated to practice. Scaled demonstrators are foreseen in 2018, with extended coordinated platoons of vessels following soon.